Aldi will spend 2018 continuing to expand across Australia with plans to open 32 new stores throughout the year. After opening its 500th Australian store in 2017, Aldi will continue to open more across several states in 2018. Aldi says alongside opening more stores in 2018 it also plans to continuing converting older stores to its new store format. Aldi’s new store format features clearer signage, redesigned shelving, expanded wooden produce bays, energy efficient LED lighting and extended chillers. Aldi plans to convert a total of 40 of its stores to its new format in 2018. The German supermarket chain intends to convert all of its Australian stores to the new format by 2020. 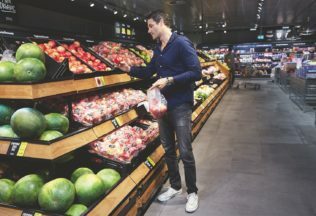 An Aldi spokesperson told Australian Food News that Aldi knows that it needs to continue to expand its fresh produce, healthy foods, organic and meat ranges to meet the evolving needs of its customers. “Our national store refurbishment program has allowed for greater space to accommodate these categories, improve store standards and the in-store experience,” Aldi’s spokesperson said.